Covering a total area of 7.69 million square kilometres, mainland Australia is the world’s largest island – but smallest continent. Boasting unique flora and fauna and breath-taking landscapes, Australia should be the destination of choice whether you’re wanting something close to home or if you’re coming from overseas. You can explore some of the world’s best coral reefs and tropical islands, or ski the Australian Alps or take a hike in the Australian mountain ranges. Then there’s the magical outback and the vibrant cities. Australia makes for the perfect holiday destination with something on offer for everyone. 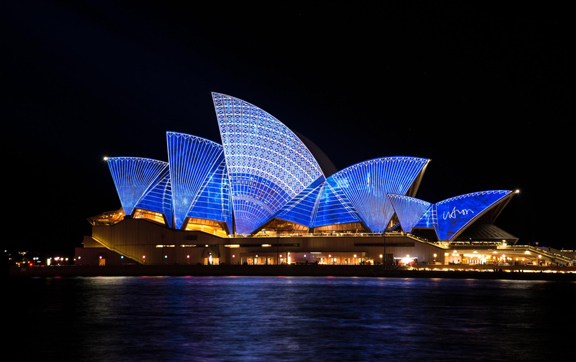 If you want to find out more about luxury travel in Australia then visit our affiliate site – Luxury Australia Travel. Travel between Perth & Sydney on the opulent Indian Pacific with this 7 day itinerary from Abercrombie & Kent. The essence of Australia’s Red Centre is revealed on this journey which combines guided tours with a self driven experience. Combine a professionally-guided outback hiking adventure with the natural beauty of Kangaroo Island on this 6 day A&K itinerary. Take a five-day journey along Western Australia's outback coast in a luxury coach. Jump in a car & cruise around Australia with these Top 5 Road Trips, showing off some of the best things Australia has to offer. Every room at the Langham Sydney is a haven of plush luxury accented by views of the iconic Sydney cityscape. The Shangri-La Hotel Sydney is a 5 star hotel, perfectly located between the Sydney Opera House and Harbour Bridge. Offering spectacular views of Sydney’s incredible harbour; the Opera House & the Harbour Bridge, this hotel is prime in location. Enjoy the comforts of all-suite luxury at Sydney's ultimate harbour-front address right next to the Opera House. Enter your suite at the Japanese Mountain Retreat and step back in time to the world of ancient Japan. The Park Hyatt Melbourne is an award wining prestigious, luxurious, sophisticated yet contemporary boutique hotel. Do not miss the outstanding views of the city and Yarra River from the Quay West Suites Melbourne! Enjoy the luxury of a Balinese getaway without the travel, but with all the opulence-experience the Balinese Retreat in Melbourne. A unique expression of Australian island luxury, the award winning the Qualia Resort always impresses. When you simply do not wish to be found, when you need to escape and unwind, there is no better place to disappear than Bedarra. Nestled high on a hillside of Hamilton Island, Villa Illalangi offers a unique tropical holiday experience. Located in Broadbeach the Sofitel Broadbeach exudes five-star luxury with decadent comfort and state of the art technology. Narrows Escape is nestled amongst the treetops in Montville, the cultural heart of the Sunshine Coast Hinterland. Sea Change Beachfront Apartments offer exceptional, panoramic views of the beach & ocean. Experience luxury in a picturesque setting as you are given the rare opportunity to explore nature & rediscover your wellbeing. Soul Gold Coast offers luxury accommodation in the heart of Surfers Paradise with spectacular beach front views. Saffire Freycinet is an all inclusive luxurious lodge on Tasmania's East Coast, inside Freycinet National Park. A warm, rustic retreat nestled high in the Tasmanian wilderness, featuring cosy cabins, fine food and wine and many activities. A special, luxe hotel with a long history and a large and delightful garden, affording quite special views of Mount Wellington. Luxurious, eco-sensitive and romantic, Longitude 131° offers immersion in the wilderness of Uluru-Kata Tjuta National Park. Named after the soaring white sails that crown its roof, this is Ayers Rock Resorts premier hotel. Exclusive safari camp on a deserted stretch of beach in the Cape Range, where the magnificent Ningaloo Reef is just offshore. Overlooking the Swan River, Fraser Suites Perth offers fully-furnished, luxurious serviced apartments in Perth’s CBD. This adult’s only accommodation provides one of the most complete luxurious escapes located in the Margaret River area.